The opening goes off like a cartoon alarm clock, shrill and insistent, drums and piano seeming to argue who will awaken the listener first. 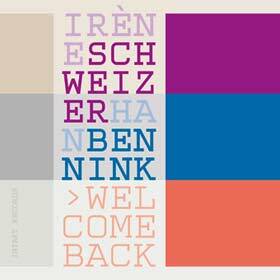 The ensuing march is more satirical, almost more Prokofiev that Irène Schweizer or Han Bennink which means this is less remembering the past than looking forward and yet it is, in a somewhat weird sense, welcome back that makes you and I want to look forward. Forward to every anticipated note, phrase and jagged, angular line. It is music celebrating life as death takes a holiday and summer marches in, bouncing back to spring, leaping into fall and then into the spare – not austere – loveliness of winter. The four seasons? Certainly not, but with music rippling around you are treated to jazz hot and hybrid, as well as jazz icy cool. Significantly Irène Schweizer and Han Bennink come to this music – or appear to – without even scant acknowledgement of its structural anomalies, it’s weird and wonderful digressions, transformations and mutation. Welcome Back is a work of true genius. It’s a work teetering between the rational and irrational, the comic and tragic, the real and the imagined. Just when you think it’s slipping into abstraction, something surprising happens to make you think otherwise. Irène Schweizer and Han Bennink make following its thought processes, its phantasmagorical journeying between worlds, so much easier. They make perfect sense of the seemingly senseless. Still nothing is real and nothing senseless; only a potent swashbuckling foray into ragtime, interpretations of the blues, irascible second line and third stream… everything that jazz is and is not. The question is how? 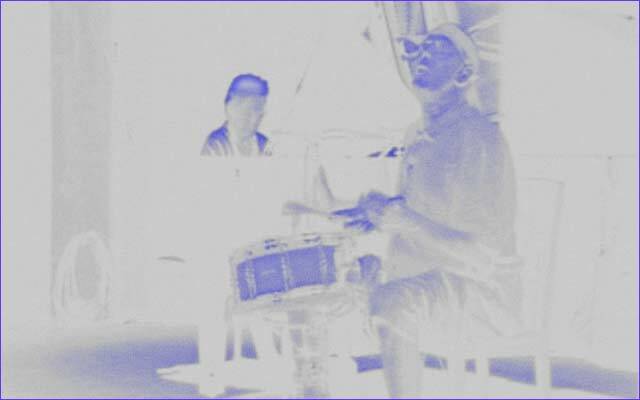 Both Irène Schweizer and Han Bennink know all too well that it isn’t enough to believe in the integrity of every bar of every piece of music. In the musical geometry of the scheme of things lines run jagged and yet horizontal to harmony that shoots up as if propelled by the liquid fire of Irène Schweizer’s harmonics and as if this were not enough then there is the roguish rhythm-intransitive that collides at the exact bisection of melody and harmony. It is often hard to separate the psycho-physio-personas of each of the musicians. “Trap 5” could well be Irène Schweizer’s way of presenting the rattle and hum of the rhythmist as “Rag” could be Han Bennink’s repartee. But there are also moments of relative sanity – in the crackle of “Firewood”, for instance, or in the tenderness of Irène Schweizer and Han Bennink’s heartbreaking song for Misha Mengelberg – “To Misha with Love”. As if that were not enough the musical carousel ends with two charts that were right out of Thelonious Monk’s playbook: “I Surrender Dear” and the iconic “Eronel”. This is an album of great originality. At times it may sound elusive, more ‘disguised’ in its melding of the elements, but which always binds the ingredients in extraordinary ways and gives even the uninformed listener a subliminal sense of order. There are times when the edict – imagined or otherwise – of ‘chaos instead of music’ is even appealing. And when musicians can make that happen then you know that they have reached a rarefied realm where everything comes together in an electromagnetic alignment of a real and imagined musical cosmos! Track List: Welcome Back; Kit 4; Trap 5; Free for All; Meet Me Tonight in Dreamland; Verflixt; Rag; Bleu Foncé; Apus Melba; Ntyilo, Ntyilo; Firewood; To Misha with Love; I Surrender, Dear; Eronel. Personnel: Irène Schweizer: piano; Han Bennink: drums.